Meditation, where do you find the time, and how do you stay focused? What’s the best way to get started? I’m still working on that. I’ll always be working on it! I started with guided meditations, which help me stay focused. I had never been particularly good at sticking with meditation, so I made a commitment that I would meditate every day. I kept hearing it would change my life. I loaded up my IPOD with guided meditations, you can find them free all over the Internet. Now I was stressing about having TOO many meditations! Not a great start. You really have to stick with it, and keep on meditating, even if you feel like you spend more time thinking about all the laundry you should be doing. My mind runs at 100 MPH most of my waking hours, I really wanted to learn how to turn it off on occasion! It does get better and better as you practice. I’m probably about five years into it now, and I see the benefits everyday. The more I practice at quieting my mind for meditation, the quicker and easier quieting my mind is in my everyday life. It’s so important to really isolate yourself when you start to meditate. You need to really shut out the external and internal distractions as best you can. Not an easy thing to do, unless you live alone, with no pets. My initial goal was to try to meditate first thing in the morning, and last thing before I go to sleep. That almost never happens. I already get up before 6AM every morning, and unless I literally don’t get out of bed before I meditate, something grabs my attention first. I have to tiptoe into the bathroom and hope the puppy doesn’t hear me! Not likely. I downloaded some meditations to my phone, so that on weekday mornings I can just grab my phone, literally before I even get out of bed, and start my day with some quiet time. You can also bookmark meditations on youtube, which are easy to find on the fly. On weekend mornings I get up, take care of the dog, get myself a cup of tea, and head back to my room or out to my deck to meditate. I love morning meditations, it’s awesome to start your day with a clear mind. Evening meditations are wonderful, you’re sleepy so it’s a very different experience. There are some nice guided meditations that are designed to be listened to when you’re going to sleep. It’s a fabulous way to wind down your day, and calm down your mind for a good nights rest. If there’s something in your life you’re hoping to manifest or focus on, meditating on that topic before you go to sleep is said to tune your dreams and soul into those desires. I find I dream so much more when I meditate before sleep! I’m keeping a dream journal, that’s a topic for another day. I’ve even tried to meditate during the day! On weekends that’s do-able, on weekdays it’s a riot. I’ve tried to find a quiet lot, in my car, sitting in a pretty place, hoping no cops come by and knock on my window wondering if I’m alive! There’s the delicate balance of needing the car battery on so I can listen to the meditation, and since it’s cold, so that the heat can run. I don’t want to asphyxiate myself, so then there has to be open windows, you’re starting to get the picture. Not exactly the stress free environment I’m shooting for. Here’s Deepak Chopra on learning to meditate. He did this clip for the Dr. OZ show awhile back. There are some different meditation techniques. There are Mantra meditations, Chakra meditations, Heart Centered meditations, Trataka meditations, and more. You really have to experiment and find what resonates with you. I find different techniques work for me at different times, so play around. Here’s a good article describing different techniques. Meditating, for me, is starting to feel like a splurge on myself, fabulous! Making time to meditate is now as wonderful as making time for pedicures and massages. I had no idea I would be so enthusiastic about it! I love the little bit of tranquility it brings to my life. With all of the decisions that I have to make on a daily basis, this tranquility is much appreciated. For those of you that use ITunes, go the the Itunes store, search for meditations, and narrow down to podcasts. They’re free, and there are tons and tons of them. Try and find the ones that feel right for you. 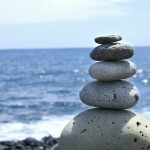 Great post about where to begin when embarking on the meditation path! I enjoy 5-10 minutes of meditation every morning and allow my intuition to guide me as to which I would benefit the most from that day – whether it’s Vipassana, self-hypnosis, listening to a guided meditation, listening to binaural beats, walking meditation, sacred dance, or Theta healing, I love that the choice is mine to make and more important than HOW I meditate is THAT I meditate! What a great way to start your day! I like your style. I pretty much do the same thing. I love all of the ways you’ve shared about how we can begin to meditate so that it is DOABLE. I love spending my day with a 15 minute meditation/quiet time—range from guided, pulling cards from my deck first and then setting intention on a theme, mindfulness, to start my day. Meditation is so challenging. I love guided meditations like yoga nidra. It works much better than unguided meditation for me. My monkey mind is more of a guerilla.